A fun history memory game. 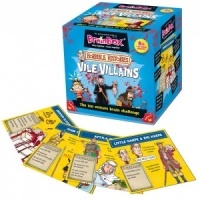 This is the second of the Horrible Histories BrainBoxes. 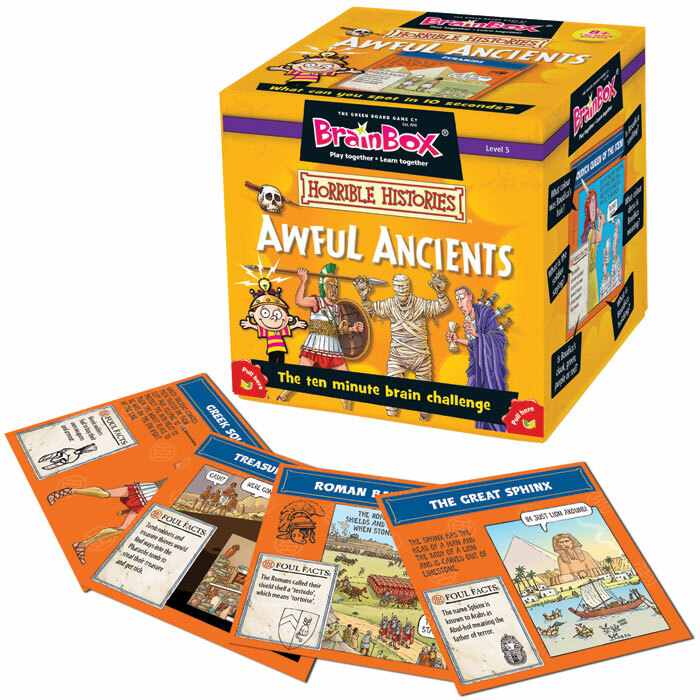 Developed in conjunction with the Horrible Histories team, the cards show glimpses of life in ancient times, from capers in the Colosseum to Egyptian mummification to Greek goings on. 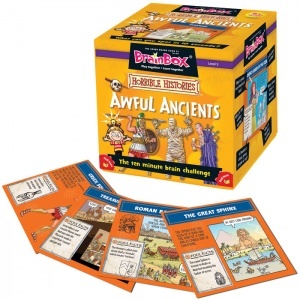 This game is fabulous foul fun and shows how awful the ancients were! Players will have 10 seconds to study a fact packed card before being asked a question from the reverse, chosen by the roll of the die. Answer correctly and the card is yours, if not return it to the box and continue play. The player with the most cards after 10 minutes wins the game!